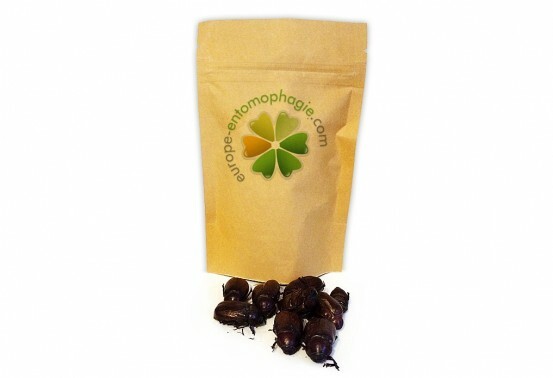 Each package contains about 30 beetles. 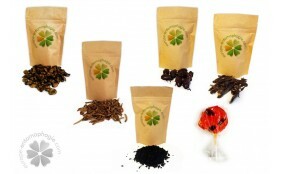 The insects were all boiled and dehydrated in order to maintain their quality. These bugs come from Thailand, where people say that they taste like smoked bacon. Beetles make a great fun and unusual snack. Their shelf life is 8 monts, in a dark and dry environment. 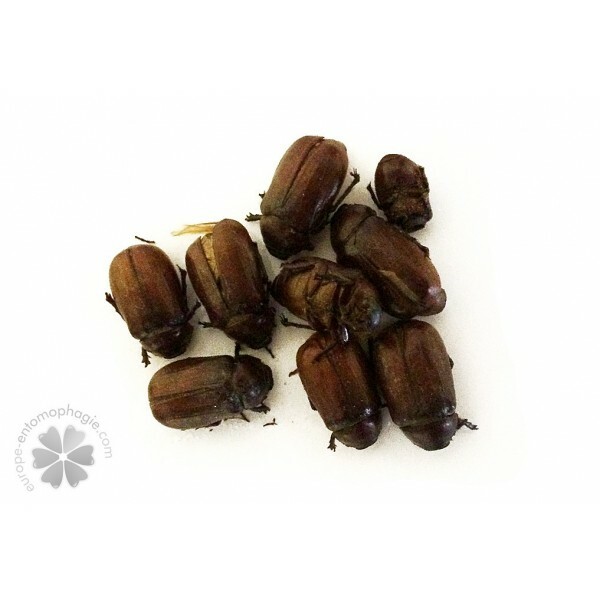 Thesre beetles are Phyllophaga Rugosa, a type of beetle found in Asia. This insect lives in the forests where he eats anything organic, from grains to dead leaves. Its color goes from dark black to brown red, depending on the region they live. 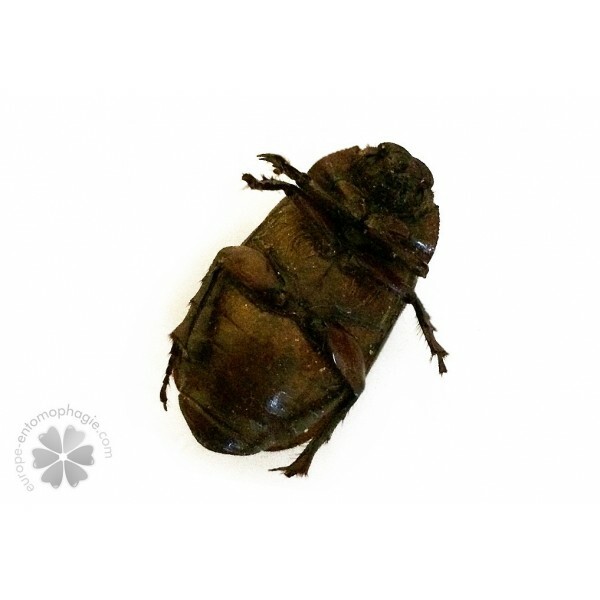 You may be surprised to learn beetles can be eaten because their shell is supposed to be very hard. Actually, once the beetle is cooked, the shell becomes tender enough to be eaten. Beetles taste somehow like smoked bacon, a surprising familiar taste for such a weird edible insect. Today, beetles are just a common insect that can be somtimes eaten, but that was not the case at all in Ancient Egypt. At that time, the beetle was considered a sacred creature as it embodied the sun god that was reborn every morning at dawn and was a symbol of rebirth for the dead and a protective emblem for the living. It was also known to influence fertility. 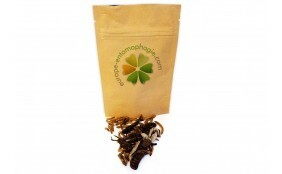 Now we know this bug is an excellent source of nutrients, especially in terms of protein, vitamins and minerals. The protein rate of the beetles is well above the one of poultry, eggs and red meat. In addition, they are low fat. 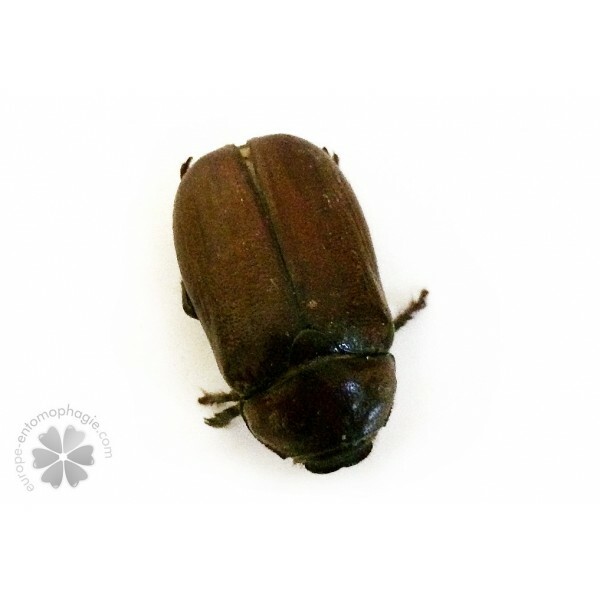 Beetles are mainly eaten in Thailand, where it is often cooked with soy sauce and a mixture of Thai herbs (lemongrass, lime leaves, galangal, Thai garlic). 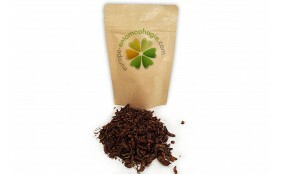 Edible insects are described by the United Nations Food and Agriculture Organization (FAO) as the food of the future. 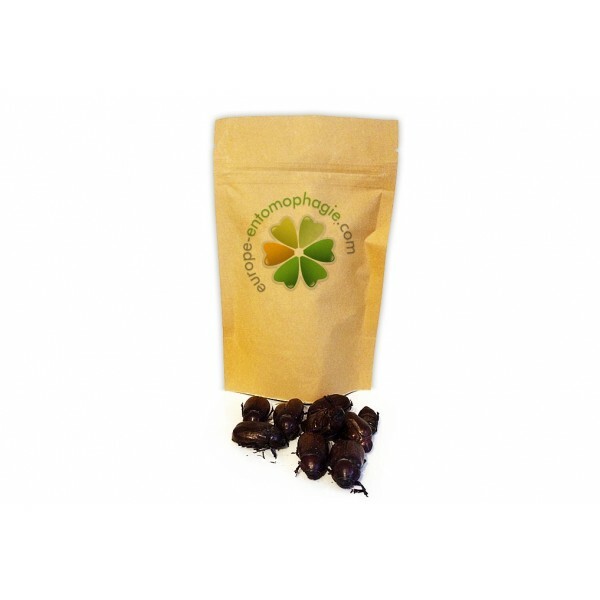 Indeed, they are an excellent alternative to the traditional meat production, especially because the breeding of insects has little impact on the environment. Insects reproduce at a much faster pace than mammals, while requiring far fewer resources (water, food, energy). 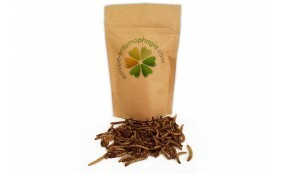 An edible insect farm pollute less than traditional breeding and produced products with better nutritional values. 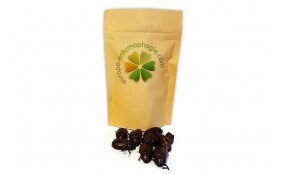 To retain all their nutritional qualities, beetles are offered boiled and dried. This process ensures a obtimale flavor. There is just open the bag and enjoy. 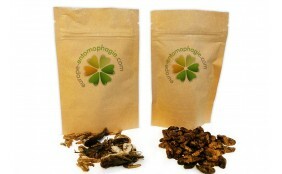 As to ensure proper conservation of the product, conditionnment of these edible insects was investigated. Thus, they can be eaten for a period of eight months with a freshness guarantee.